What’s for dinner tonight? Despite my best intentions and hours of meal planning, shopping, and prepping, I still ask myself this question at least a couple of times every week. I was staring into the fridge yesterday, wondering what to make as per usual. I knew I had a Chuck Roast defrosted, and I pretty much always have root veggies laying around, so this time, it wasn’t too hard to come up with the answer. Pot Roast it is! The Instant Pot is my BFF for a reason, ya know. I used to have to plan for an 8am start time if I wanted to get the most perfect, fork-tender Pot Roast ever. But yesterday, I actually started cooking just before 4pm, and dinner was on the table by 5:30 (with most of that time as downtime, whattup). What could be easier? 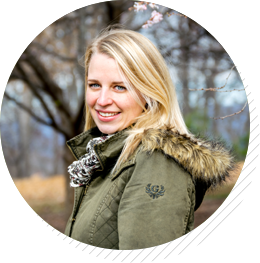 ILU Instant Pot – Thanks for making this Pot Roast, Buffalo Chicken, Sweet Potato Chili and more so much easier! I sometimes get questions about how to thicken sauces and soups when you’re avoiding corn starch and flour. If you haven’t tried arrowroot powder before, it’s a great alternative that’s Gluten Free, Whole30, and Paleo compliant. I make a slurry by whisking together about 2 tsp of arrowroot and 1 tbsp of water or broth, then whisk it into the hot pan drippings or instant pot liquid and stir until slightly thickened. It makes a perfect Whole30 gravy to serve over the pot roast and vegetables! I’ve said this about a billion times before, but my husband is a total meat and potatoes guy. I can’t do everything in the world for him (I wish I could), but he really loves meals like this, so I make him his favorites as often as I can. He walks in the door and he gets a whiff of what’s cooking, and I hear him excitedly ask, “What’s for dinner?” It’s funny- When I ask myself the same question a few hours earlier, it’s always with a bit of grudging annoyance. But to hear him say the exact words with eagerness, it reminds me of the insane privilegeI have to eat meals that aren’t just delicious and healthy, but that make our hearts happy. Yes it takes a little leg work, but I’m thankful. 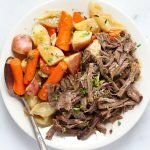 Needless to say, my husband was really happy with this simple and savory Pot Roast dinner. Are you the kind of person who’d love this too? Set the Instant Pot to Saute mode. Heat 2 tbsp olive oil until it begins shimmering (this takes about 2 minutes). Pat the chuck roast dry and season it on all sides with salt, pepper, garlic powder, and onion powder. Brown the roast on all sides for about 3 minutes per side, then remove it and set it aside. Quarter the potatoes and the onions and cut the carrots into 4 inch pieces. Add the onion and carrots to the IP and saute them together for about 5 minutes, stirring occasionally. Remove them and set them aside. Deglaze the pan with ½ cup beef stock, scraping the bottom with a wooden spoon. Add the rest of the stock, vinegar and garlic, then put the roast back in. Cover and set to Meat/Stew for 70 minutes. Manually release the pressure, then remove the lid. Add in the onions, garlic, carrots, quartered potatoes, and rosemary and thyme and cover. Set to Meat/Stew (or High Pressure) for 10 minutes, then Manual Pressure Release. Remove the roast and cover it to allow it to rest. Remove the vegetables and set them aside, so only the drippings and broth are left. Make the gravy (see below). 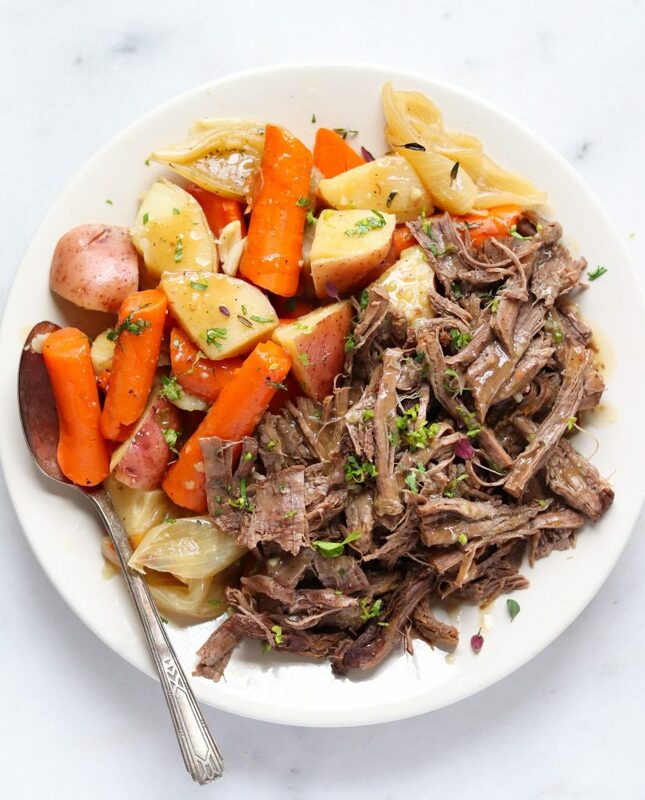 When you’re ready to serve, use two forks to pull the pot roast apart into bite-sized pieces. Discard the fat cap and any tough fatty pieces. 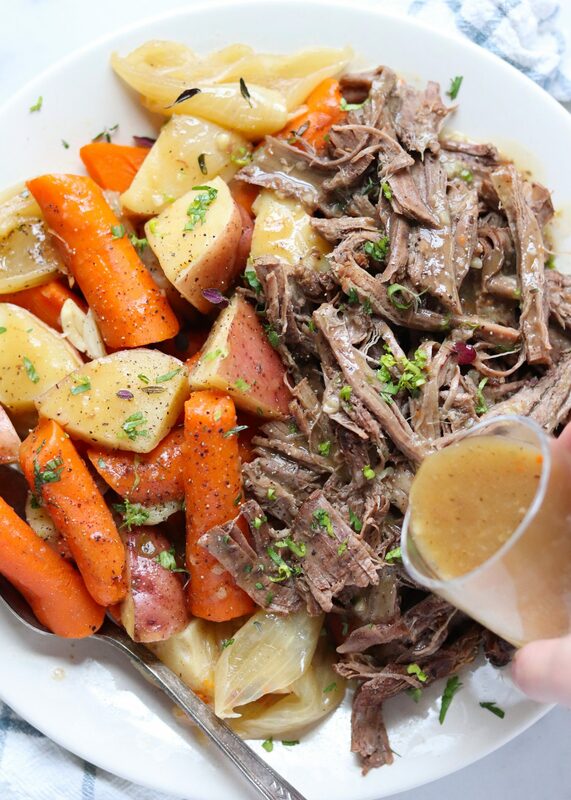 Serve the vegetables and pot roast with a good drizzle of gravy and parsley. Set to Sauté mode. Whisk together a slurry using 2 tsp. arrowroot powder and a tablespoon or two of broth from the Instant Pot, then stir it into the broth with the coconut aminos. Continue to stir often until thickened slightly, about 3 minutes. Season to taste with salt and pepper. 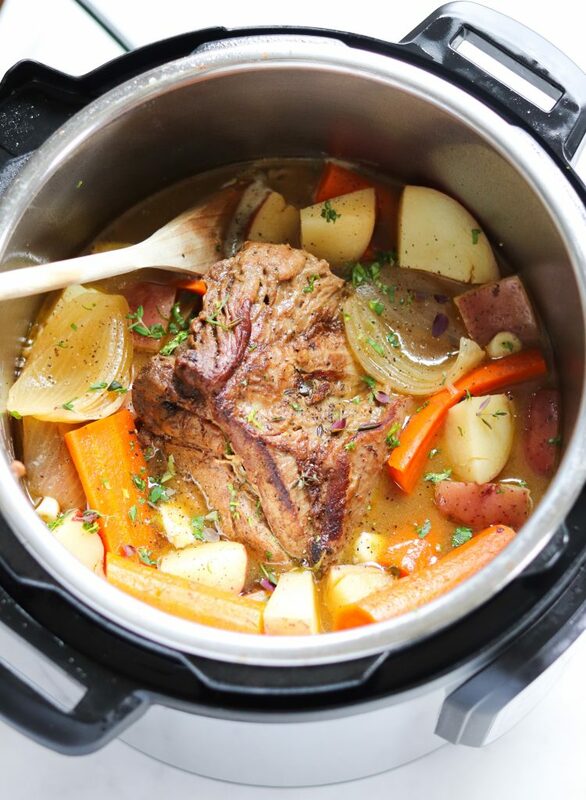 Making this Classic Whole30 Pot Roast? Let me know what you think of it in the comments below – and tag me on Instagram @cookathomemom! 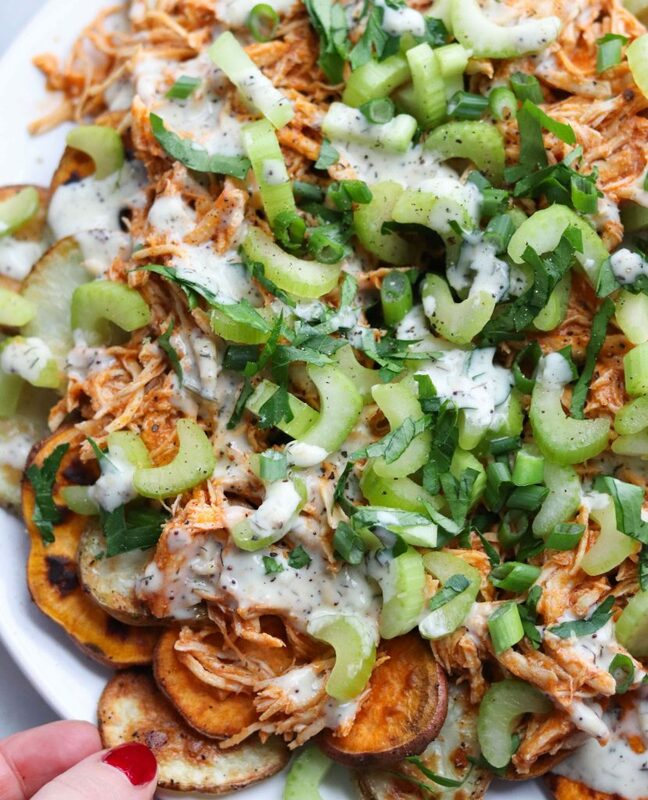 And if you’re looking for more healthy Instant Pot recipes, check out my Paleo Buffalo Chicken Nachos!! Could you make this in a crock pot too? Hi Leah! Thanks for your question — Absolutely! I’d recommend browning the roast separately in a large stock pot, and then cooking it on high for 5-6 hours (this would depend on the size of the roast). I’m new to IP- does it really need to rest for an hour and ten minutes? Thanks!